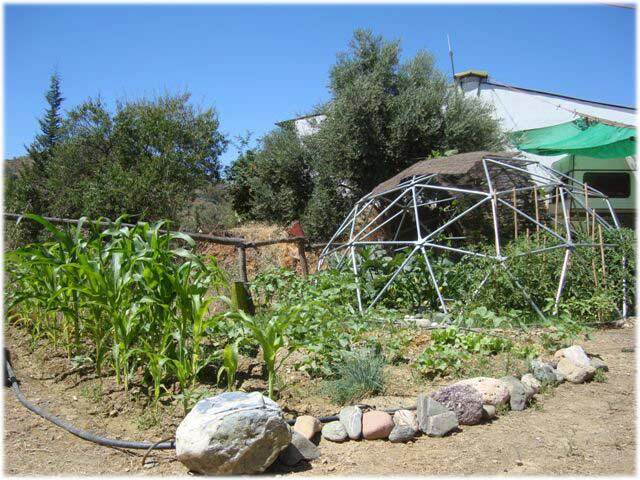 Create a cool, shaded area in a flower or vegetable garden with a geodesic dome. Hang a few hammocks and you are ready to go! Sprinklers or misters can be efficiently used in the dome to encourage vegetation growth as well as creating a cool area in your garden. Planters can be placed at any point on the dome to speed up the covering of plant life. The applications of such a dome are limited only by the imagination of the individual. An almost tropical environment can be achieved thanks to the canopy created by the vines and the installation of sprinklers or mist system. Such systems can either be fixed onto the frame itself or to a central pole with a rotating, watering arm. A dome used over a Jacuzzi or swimming pool can be covered for shade or mosquito netting to keep the bugs out and also stop a certain amount of debris falling into the water. Or if you like to use your pool in the winter, a covered dome will help to keep the heat in. 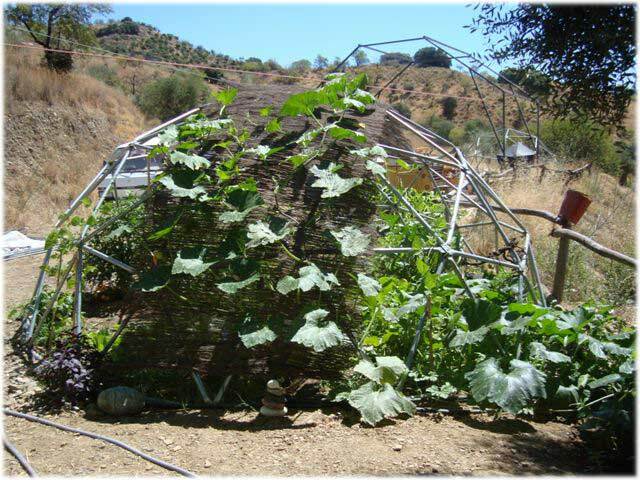 A fine net covering on the dome makes it possible to keep mosquito's out, or to keep butterflies in. 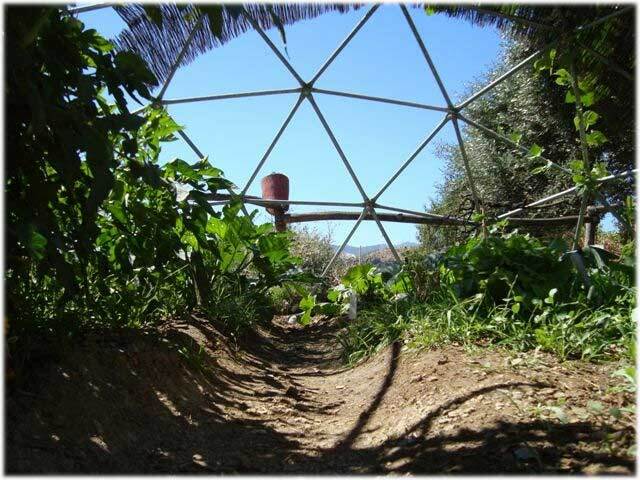 The photos above show one of our very small 3 metre geodesic domes with a plant covering.